For a home to sell for a million dollars, it needs to look and show like a million dollar home to the buyer. A qualified and experienced real estate agent can help accomplish this goal, but that’s just the first step. Homeowners need to stage a home just right. Even a seemingly simple mistake can sharply reduce the price of a sale, or even prevent someone from making an offer at all. Here are six common mistakes homeowners should be aware of, before putting a home on the market. Electricians, carpenters, plumbers, roofers, and other trades professionals need time to do a quality job. Therefore, make sure to book estimates as soon as possible. Get a clear timeline and schedule. Don’t forget to include the time for painting, drywall, trim, or any other tasks needed to complete a job. By doing so, the realtor will have a clear idea of when the home will be show-room ready. It will also make it possible to schedule other tasks, such as yard maintenance and upkeep. By coordinating everything this way, it’s possible to complete all the work at the same time, and have your home ready to go on the market sooner. Replacing an old worn carpet, dated light fixtures, or yellowed switch plates can seem like a hassle, especially when there are so many other things to do. However, these seemingly insignificant details can have an enormous impact on the look and feel of a room, as well as the entire home. Fixing these issues doesn’t have to be expensive either. Area rugs, light fixtures, and faucets can be found affordable, and much better than worn or outdated pieces. How a home looks on the outside, can determine how much buyers want to take a look on the inside. Small tasks, such as cutting the lawn, spraying the weeds, and trimming bushes can help out quite a bit. Sweep patios and fill any planters with lush flowers. For a little extra wow factor, go the extra mile with details, like a diagonally-cut and edged lawn, to show potential buyers that the home has been well loved and maintained. Lime green walls and ceilings with black, pink, and white everywhere may look amazing at the moment, but potential buyers might not have the same opinion. Therefore, make sure a room doesn’t make potential buyers feel overwhelmed. Each room should be welcoming, have a single purpose, and spark a visitor’s imagination. Potential buyers should fall in love with a room, without being hypnotized by it. Sometimes, homeowners worry so much about a room being overwhelming, that they take all the interest out of it. The result can be just another bland room that blends in with all the others. Therefore, make sure there’s something of interest in each space. Professional decorators often use a 60-30-10 rule. This means 60 percent of a room should be a neutral or base shade. The secondary color should make up 30 percent of the room, and 10 percent of a space should be in an accent color. 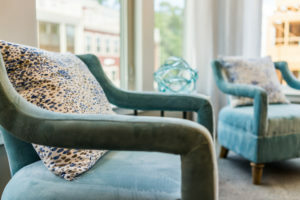 If the accent color has been added using easy-to-change items like glassware and pillows, the potential buyer won’t have to work hard to change it. Generally speaking, an older couple that’s ready to retire, may not be as interested in modern, trendy decor as a young professional looking for a home. And the more buyers have to change or imagine, the less likely they’ll be to put in a higher offer. Therefore, it’s important to know who will be most likely to buy a home, before staging it. To find out, consider neighbors who have recently moved into the neighborhood. Ask a real estate agent about who would be most likely to purchase the house. Then find out what preferences these groups of buyers might have. Staging a home incorrectly, could mean the difference between selling a house and having it sit on the market for months. Therefore, it’s essential to stage them right, as soon as possible. A little bit of work and slight discomfort up front, will be worth the extra money going into your bank account at the closing table.